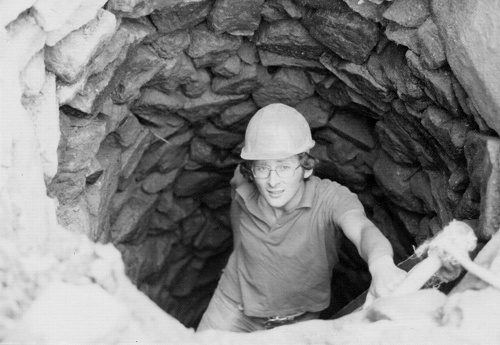 This well was discovered in 1976 during renovation works of the cottages in Station Road adjacent to the shops. It was discovered under a Victorian extension to the rear of the building. The county archaeologist dated it to prior 1740 due to its stone lining. The well was clean when uncovered implying that it did not fall out of use and was still serviceable. It has since been capped and is now under the existing kitchen at no. 26 Station Road.